Jurgen Klopp is over the moon Liverpool have officially secured Alex Oxlade-Chamberlain. The Englishman was unveiled today after a £35m fee was agreed with Arsenal last night, and a medical passed at St. George’s Park. The Ox will join up with his new teammates next week after the international fixtures, but will know many of them well – including Jordan Henderson, Adam Lallana, Nathaniel Clyne and Daniel Sturridge – from the England setup. Klopp’s actually been following the 24-year-old ever since 2014, when he first watched him live in a Champions League tie between Borussia Dortmund and Arsenal. So impressed was Liverpool’s manager, he’s been after him the midfielder ever since. The manager told Liverpoolfc.com: “I am really, really happy we have got Alex signed. Since the last game I have been waiting and hoping we could make this transfer – and when I got the news he was ours it was fantastic. “We won that game but lost the return match at Arsenal when he started and played well, I think he hit the post. Since then I have followed him and when I heard it may be possible to sign him I didn’t need to think twice. 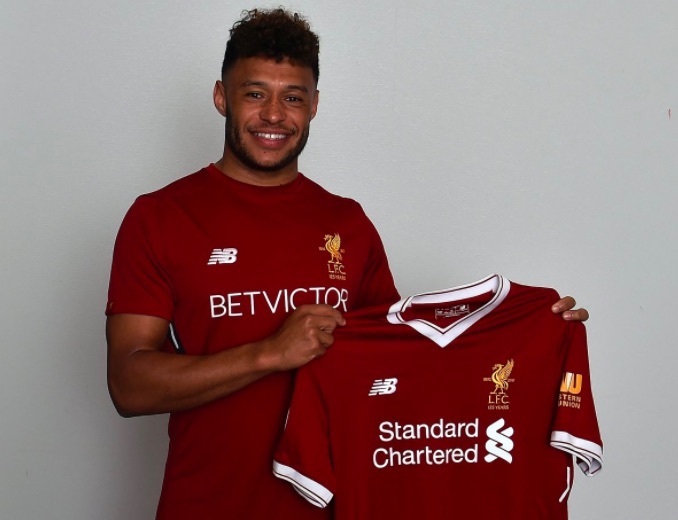 Not only did Oxlade-Chamberlain agree to join Liverpool, but he turned down Arsenal and Chelsea, who were both offering much more money – which makes the coup even more impressive. Klopp is the perfect manager to maximise Oxlade-Chamberlain’s abilities. He’ll know exactly how to get the best out of him and we cannot wait to see it come into fruition. Let’s have faith in the boss. The fact he’s so excited means we should be too.